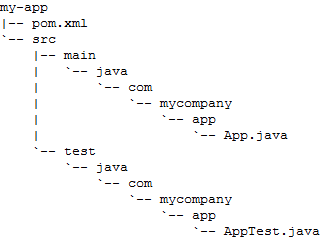 The new EclipseUML architecture based on native XMI incremental synchronization between UML Editor, java Source code and UML 2.2 model (patented technology) allows tight Maven integration. You can then immediately compile your project and use Ant. Eclipse IDE could be used either with Maven plugins or without any plugin by using Eclipse just for its java editor. The maven Integration for Eclipse is the first and most mature of the projects aimed at integrating Maven within the Eclipse IDE. It is released under the EPL 1.0 license. Eclipse IAM is a newer Apache Maven plugin for Eclipse with a fresh approach for Maven integration with the Eclipse IDE and other Eclipse plugins (JDT, WTP, Candy for Appfuse,...), also opening the doors for other Eclipse plugin developers to access Maven features as easily as possible. Developers are today a little frustrated with these two plugins which are not fully respecting maven spirit. Current plugins try to use Eclipse and Maven as two separate frameworks and join both of them within multiple advanced features. We think that Maven should be the framework and Eclipse should only be used for the java editor and modeling purposes. We agree this is a serious limitation for Eclipse, but if users decide to select maven as their first choice they don't therefore need so many other features which break the tight Eclipse Java editor and maven easy integration. Omondo could therefore in the near future develop an advanced Maven plugin inside Eclipse focused on the Java Editor and sell this plugin within EclipseUML suites of tools in the near future. If you decide to use Eclipse for its java editor and UML modeling then Eclipse will only be used as an editor and not as a framework. This is today our recommended solution. It is currently possible to use incremental modeling cycle with Maven and EclipseUML. 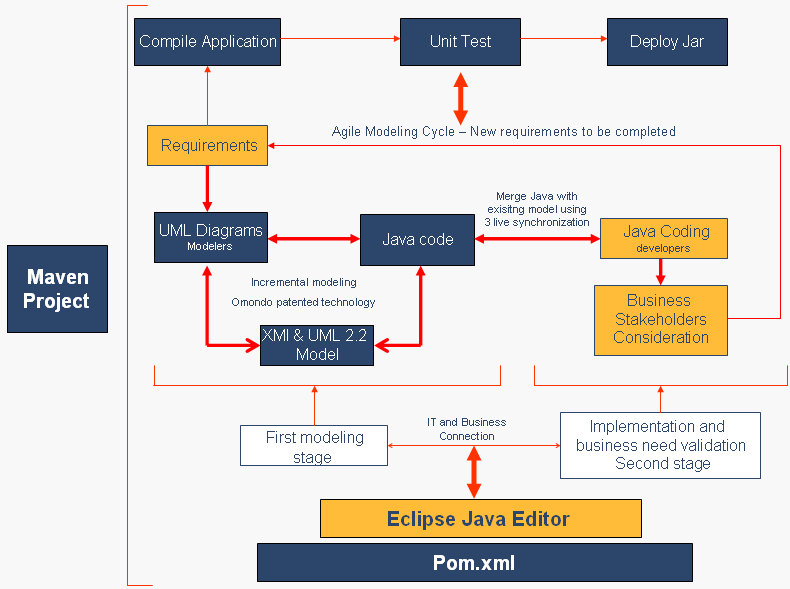 The best way to use EclipseUML respecting Maven spirit today is to only use the Eclipse Java Editor, few other plugins and EclipseUML with live code, editor and model triple synchronization at the MDD or coding stage. The java and model incremental merge feature allows to take full advantage of UML modeling and a better-faster-smarter and cheaper software factory delivery.